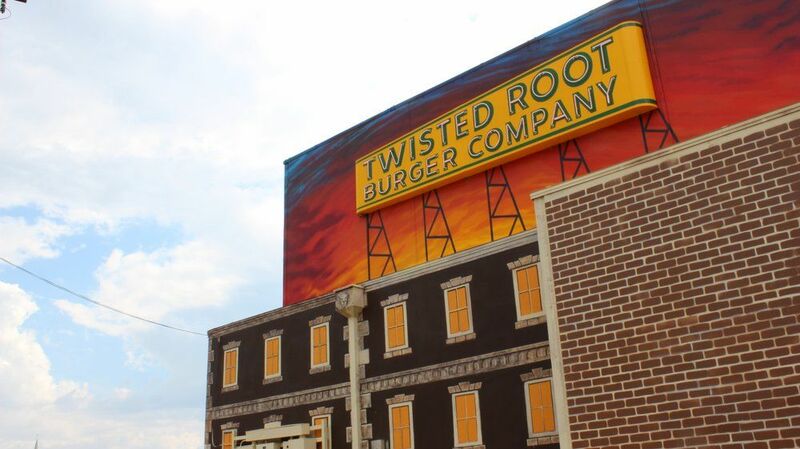 Waco - Twisted Root Burger Co.
TRB Waco took over a former play house, and it’s been rehabbed into a quirky sit down restaurant/bar with plenty of character, including 4 huge projector screens perfect for watching any game. Adorned with plenty of waco-esque decor, reclaimed wood, as well as beer keg lights illuminating the walls, the renovated space is nothing short of an awesome place to bring friends, family, and fellow Baylor bears to have a damn good burger & wings. We’re conveniently located right off of 35, across from the stadium, so wander over after the game or class and finish your day with a twisted mule. Download the Waco menu here.